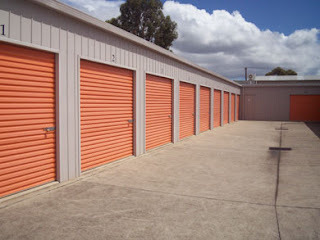 Your storage facility is careful. You are careful. However, emergencies can still occur. Beirut Moving Storage has many storage facilities and we are no stranger to occasional disaster like storms and fire. Our storage managers and facilities management teams are skilled at keeping calm and getting any affected facilities back into action again while helping our customers too. However, during emergencies, you need to follow following essential tips that will help you keep calm during storage or other disasters. It is important to inhale and exhale profusely. Deep breaths supplies your brain with enough oxygen to calm your stressed nerves. Additionally, taking deep breaths during stressful situations prevents a person from passing out or reaching the stage of hyperventilation! Our storage facilities in Beirut always advice people to avoid panic. Fear fills your mind with despair which eventually makes you panic. However, you need to understand that panic leads to heedless decision making. When you are in panic mode, you brain lacks the sensibility to take prudent actions. As a result you take decisions in haste causing more harm. (or the only harm when you later get to know that all was handled well by your storage provider) In the latter case, the harm is done as what follows heedless actions is upsetting consequences. Hence, the only mantra is to maintain your peace of mind as where there is calm there is prosperity. Last but not the least, be prepared to face the odds by researching on things like how to how to tackle major home storage crisis which is an easy-read online nowadays!